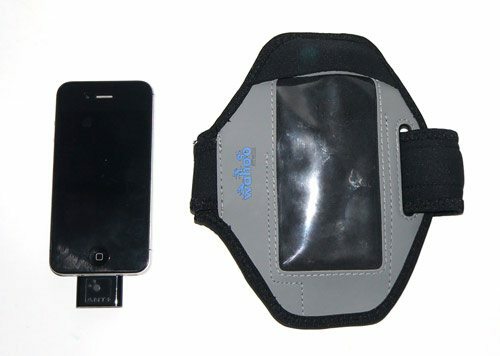 As a follow on to Andy’s review of the Wahoo Run/Gym Pack, I decided to order (and review) the Armband for iPhone to get the most out of my Wahoo running pack. 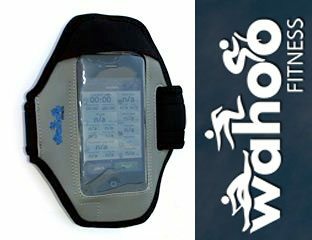 I 100% agreed with Andy’s assessment that a compatible armband is a must to best utilize Wahoo’s running fitness gear for the iPhone…. I found when I ran with my iPhone/Wahoo ANT+ dongle in my pocket, the GPS/speed/distance/tracking did not work well at all. Holding it in my hand was a hassle as well, with the potential of being damaged due to sweat/moisture or being dropped. The Wahoo Armband is well made. Constructed of neoprene and PVC, engineered to safely and securely hold your iPhone while you workout. It is weather and sweat-proof and form-fitted for the iPod Touch 3 & 4, iPhone 3G, 3GS, 4 and iPhone 4S with the Wahoo Key attached. I have used it a half dozen or so times while running, and while the armband gets sweaty, the iPhone has yet to be damp/impacted. 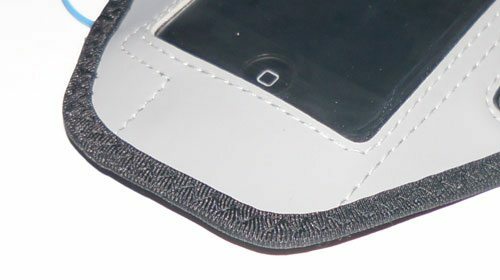 Inserting the iPhone takes a bit of effort due to the tight form-fitted design of the armband. 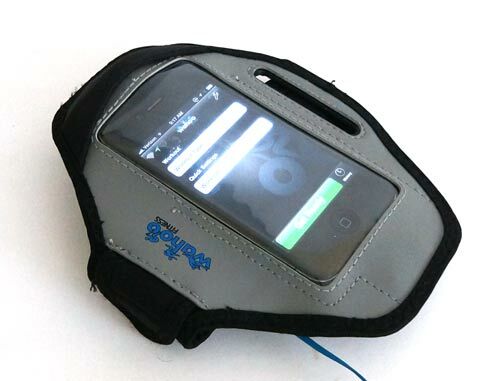 Once the iPhone is within the armband, the neoprene flap flips over the top of the case, sealing the smartphone inside. There is a side access port where your headphone cabling slides in. This port is supposed to keep sweat/rain from getting on your iPhone. While a straight plug goes in easily, the L-shaped plug of my Monster iSport Immersion In-Ear Headphones took some convincing to get it in place. Even though you have to press a bit harder, the clear plastic front of the armband allows for more than adequate control of your iOS device. Another nice feature of the Wahoo Armband is the Velcro tab meant to hold the extra earbud/headphone cabling out of the way so it is not flopping around while you run/walk. Admittedly there are MANY iPhone-fitted fitness armbands currently on the market, but few, if any, have the additional space to accommodate an ANT+ dongle. 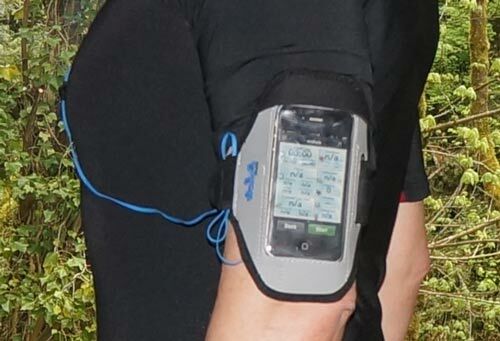 The relatively thick neoprene band and body of the armband snugly holds everything to your arm. I really liked how firmly the armband was held in place. I have experienced little bouncing and zero chaffing. The Wahoo armband fits up to 14 inch arm (not that I have to worry about that anytime soon :-I). 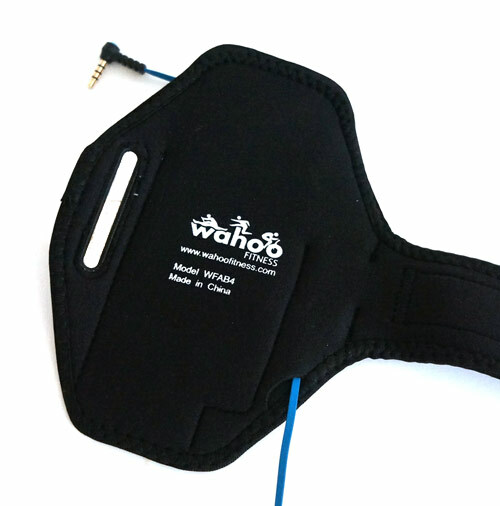 The Wahoo armband is well designed and an ideal accessory for their Run/Gym Fitness Pack. In my opinion, Wahoo should include the armband with their heart rate monitor and ANT+ dongle. 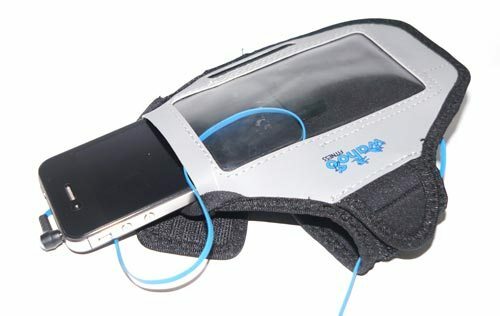 That not withstanding, the weather/sweat-proof armband is nicely made and designed to use and protect your iPhone while exercising. At $30, it is on the high-end of fitness/exercise iPhone armbands, but not by much and definitely gets the job done well. I am not a fan of its huge Cyborgish look on the arm. I rather dish out a few $s more and just get an Apple Shuffle. But thats just me.